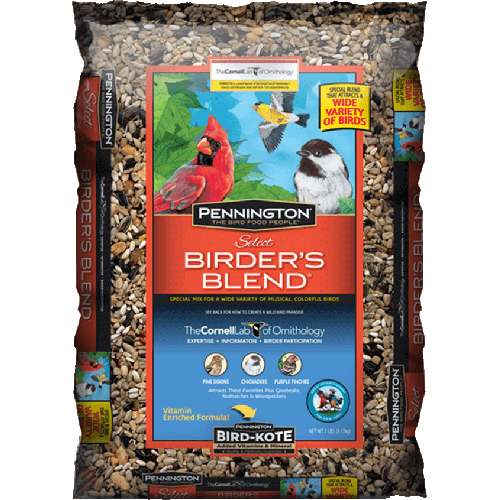 Pennington Select Birder's Blend is specially formulated to attract different types of birds. Vitamins and nutrients are added to the food to create an enriched diet that birds love. Attracts Cardinals, Chickadees, Goldfinches, Grosbeaks, Nuthatches, Woodpeckers. Manufactured in a facility that processes peanuts and other tree nuts.